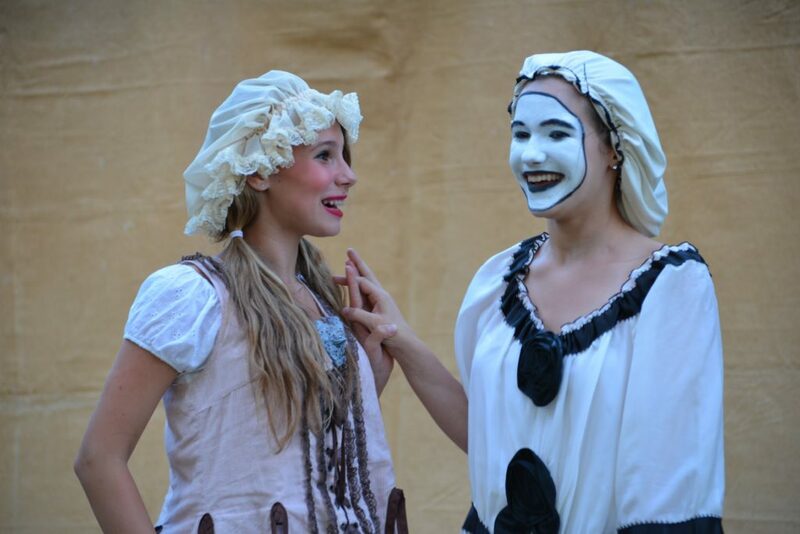 Commedia Troupe is by audition only, for current 8th – 12th graders. Want to guarantee your spot at TPE this summer? Register for High School Ensemble (8th – 12th grade) or Middle School Ensemble (6th – 8th grade) before you audition—we’ll apply your tuition toward Troupe if you get in. Auditions are also open for Traveling Troupe. Please prepare a 90 second audition piece (see below for details). Come dressed in comfortable clothes. Wear contacts if you need them (if you only wear glasses, just wear those; it’s not a big deal). Auditions will include improvisational games and physical work. If you have not registered in advance, the audition fee is $60 at the door. Bring a bag lunch or dinner; we’ll have some snacks as well. Commedia Troupe auditions are binding. This means that you agree to come to camp if accepted. Please prepare to be at the audition for the whole time. A ninety-second physical comedy routine using an object. This should be performed without words, although you can certainly make sounds. You can use any object you like (bring it with you). The piece should follow this general structure: 1) you try and use the object for it’s intended purpose; 2) for some reason (malfunction, incompetence, accidents, etc.) it doesn’t work; 3) you end up using the object for another purpose entirely. Example 1: You enter with a broom, intending to sweep the floor. unfortunately, there’s a piece of paper lying on the floor, which is impossible for you to sweep up with the broom. You get increasingly frustrated with the broom, scold it, regret that you’ve scolded it, and apologize to it. To make up, you make it into a dance partner and waltz off with it. Example 2: You enter with a kite, intending to fly it. Since there is no wind, it does not work. You try running around to generate wind, but keep hurting yourself. Eventually, you realize that the kite makes a good fashion accessory and exit, wearing it like a cape. You can prepare either of the above options. Prepare only the piece you feel more comfortable with. 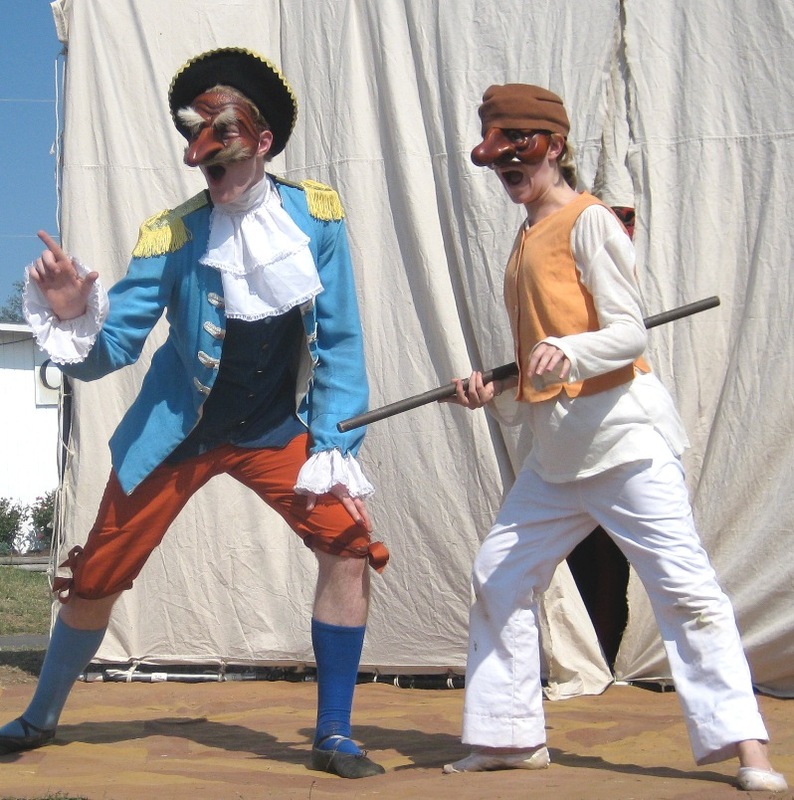 Visit the Commedia Troupe page for more information, or see our Audition FAQ. For more information, call 703-987-1712 or email us at info@travelingplayers.org.